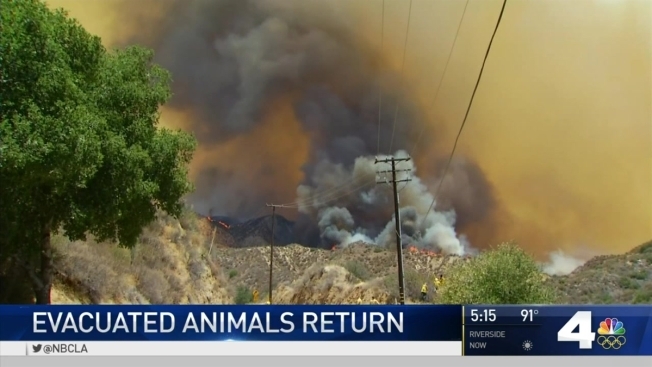 Hundreds of animals evacuated during the Sand Fire north of Los Angeles are returning home. The Wildlife Waystation in Sylmar plans to welcome back lions, tigers, bears, hyenas, cougars and other animals as firefighters gain ground on the fast-moving brush fire that began Friday near the 14 Freeway in the Santa Clarita Valley. The Waystation will likely reopen Monday. "There was a period of time when I actually thought that there would be no facility standing," Martine Colette, the Waystation's founder, said. "The very thought of having these animals burned was unbelievably frightening." In 24 hours, she and her staff moved 300 animals to safety. Community members showed up Saturday to help move animals from the 160-acre sanctuary at 14831 Little Tujunga Canyon Road. Spokesman Jerry Brown said all the animals still at the sanctuary and those taken to warehouses to wait out the fire were safe. 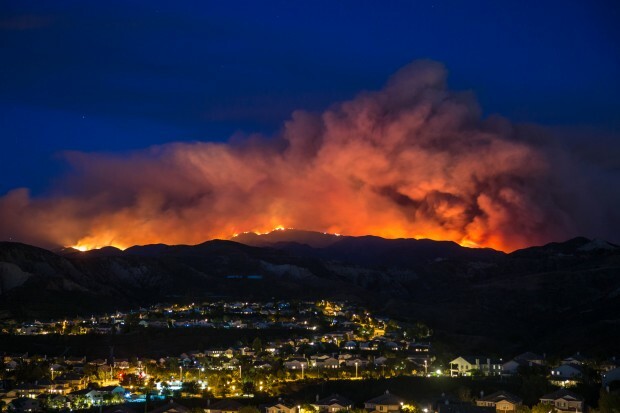 Another famed wildlife sanctuary in the area, the Shambala Preserve run by actress Tippi Hedren, was not evacuated, although Hedren called the fire "demonic". More than 830 animals were evacuated to area shelters as of Tuesday, according to the Los Angeles County Department of Animal Care and Control. They included 377 horses, 157 goats, 117 chickens and 34 pigs. 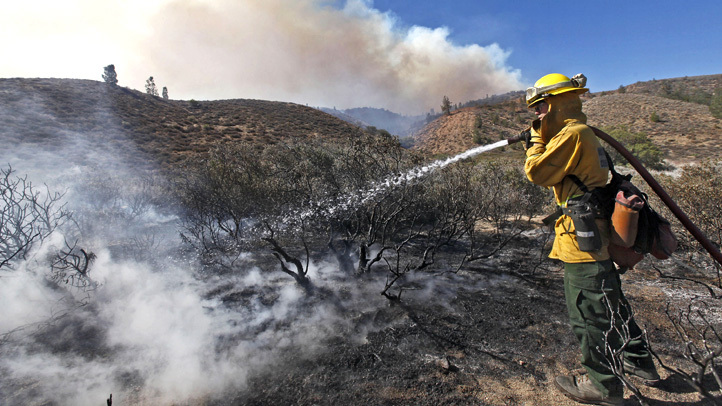 Llamas, mules, sheep, rabbits, turkeys and donkeys also were temporarily displaced by the 58-square-mile fire that chewed through about 10,000 acres per day during the weekend. Smaller animals, like dogs, cats, guinea pigs and hamsters, also were taken in at shelters in what DACC Deputy Director Aaron Reyes described as the "largest emergency situation involving the most animals" in recent memory. Reyes said animals were "slowly but surely" making their way back to their owners. 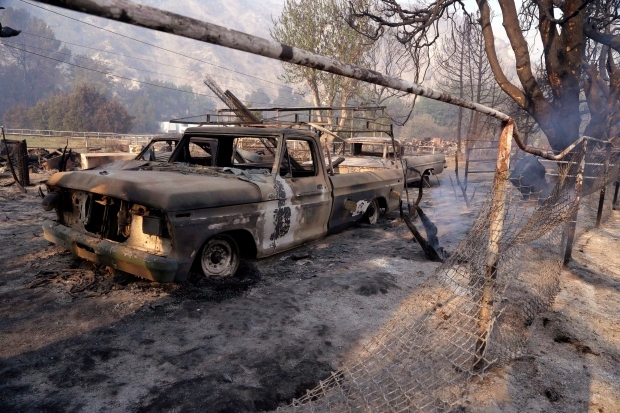 At least 18 homes burned in the fire, which grew to more than 58 square miles. Containment was at 40 percent on Wednesday. One death, a 67-year-old man visiting a friend, was reported in the fire zone.